In the United States, all digital information used and obtained by federal agencies and their sub-contractors must comply with digital accessibility guidelines set forth by a statute known as Section 508. Congress enacted Section 508 as an amendment to the Rehabilitation Act. It serves to ensure that people with disabilities have access to digital information from government agencies – such as web-based forms, employee resources, and other important information – comparable to the non-disabled population. Let’s break down some basic information about Section 508. 1. What Does Section 508 Require? In January 2018, Section 508 was updated to better align requirements with modern technology and international standards. Part of the refresh incorporated Web Content Accessibility Guidelines 2.0 (WCAG 2.0) Level AA as the standard for web compliance. 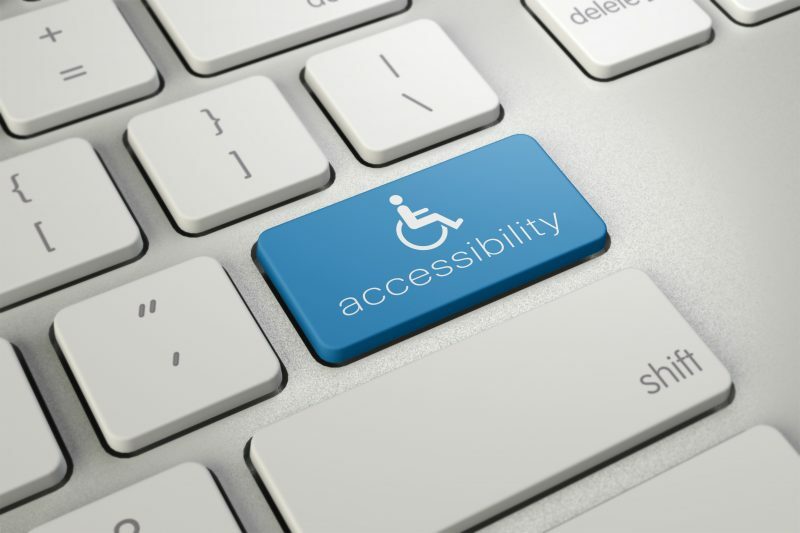 WCAG standards were developed with the goal of providing equal access to websites and web-based information regardless of disabilities like visual, auditory and cognitive impairments; seizure disorders; and learning and physical disabilities (e.g., paraplegia). 2. How Do I Know if My Website Needs to Comply with Section 508? All federal agencies are required to conform to Section 508 guidelines. Hundreds of organizations are considered federal agencies; this designation includes government departments (e.g., Department of Energy) and their sub-agencies. The standard also requires that any ICT provided to federal agencies by sub-contracted private sector companies be 508 compliant. If you’re unsure whether Section 508 applies to your organization, it’s best to consult an expert. 3. What Happens If We Aren’t 508 Compliant? Covered entities that fail to meet Section 508 requirements risk lawsuits from individuals unable to access web-based information and resources. Private sector companies that provide ICT to federal agencies could lose their contract. Even companies not legally required to comply with Section 508 should be aware that if disabled users can’t access their digital content, they could be targeted for alleged violations of the Americans with Disabilities Act (ADA). 4. If Section 508 Doesn’t Apply To My Website, We Don’t Need to Worry about Digital Accessibility. Right? Today, most organizations and businesses recognize that making their content and services accessible to everyone is simply the right thing to do. Beyond that, digital accessibility makes sense from customer service and business growth angles. Despite the availability of these and other resources, partnering with an outside expert in digital accessibility is often recommended. The Make-Sense digital accessibility platform reduces the cost and complexity of compliance by continuously monitoring and providing real-time fixes to keep websites compliant with WCAG standards and Section 508 requirements. For more information, visit www.mk-sense.com. Use the free Accessibility Checker from Make-Sense to uncover areas of your site that need remediation for Section 508 compliance. © 2019 Make-Sense. All rights reserved.